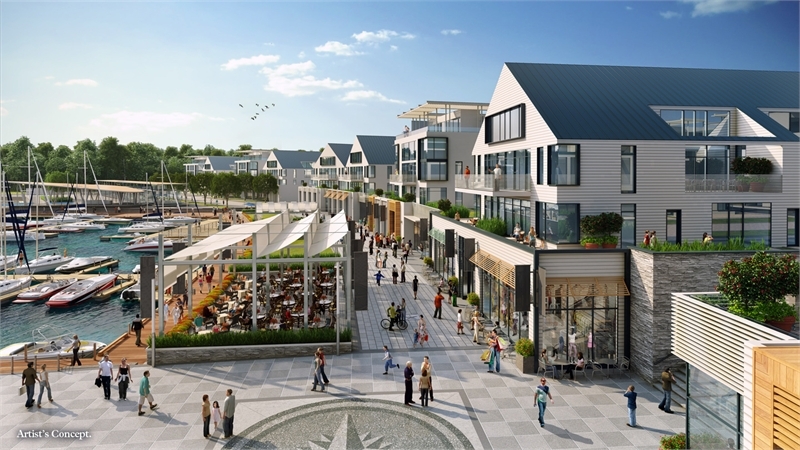 Geranium Corporation is inviting everyone to a wine and cheese event to celebrate the sales success of Friday Harbour, the resort-style community on Lake Simcoe. The celebration will take place on Thursday, November 28th in the Delta Markham Conference Room, located at 50 East Valhalla Drive in Markham. Attendees can stop by any time between 5pm and 8pm to sample the vin and fromage while finding out more about this remarkable new waterfront development. Interested? RSVP here. Geranium will also be offering new purchasers special limited-time incentives, so be sure to ask about them when you arrive! For those who need to familiarize themselves with the new community, Friday Harbour offers a variety of condo choices, nestled on the scenic Big Bay Point on Lake Simcoe. Live above the village’s quaint galleries and cafes in one of the Boardwalk Condo suites, or if you’d prefer an area a little removed from village activity, check out the one-, two- and three-bedroom suite units at the Harbour Flats. The homes’ surrounding amenities are akin to a charming beach resort, consisting of a destination marina with 1,000 boat slips, an 18-hole Doug Carrick designed golf course and a 200 acre nature preserve. Residents can also take advantage of a full-service spa, tennis courts and shopping and dining boutiques. Construction at Friday Harbour will continue throughout the winter months, meaning there will be plenty more to see once site tours resume in spring 2014. Sales for available Boardwalk condos start from $229,900 and Harbour Flats start from $249,900. For more information call 647 351 0991 or email info@fridayharbour.com.